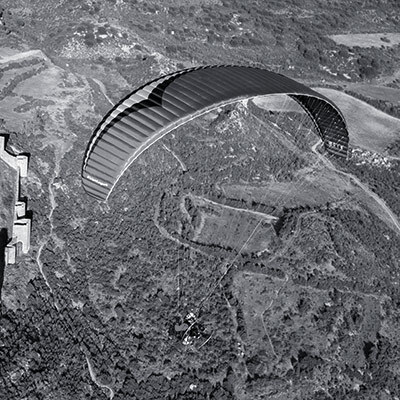 The Condor is our tandem wing for powered flight. 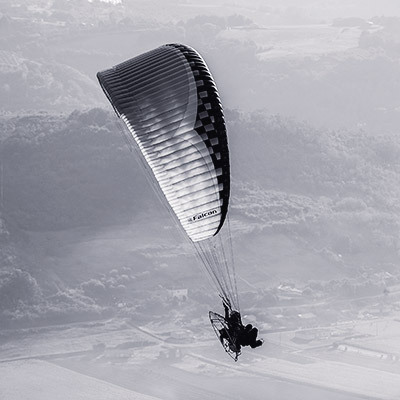 Evolved from the successful Fuse series of tandem paragliders, the Condor features specific adaptations for flight with a motor. 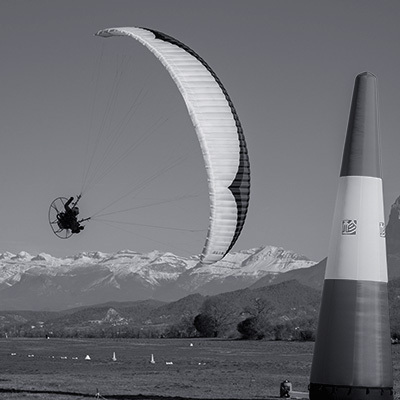 The Condor has a moderate aspect ratio with a high performance profile. 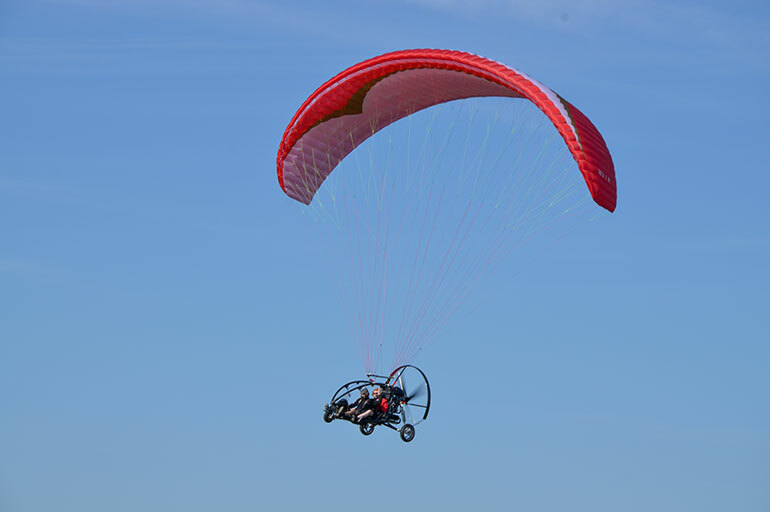 Climbing is efficient even at high wing loadings, and thus the wing works well with a wide range of trike and motor units. Thanks to the profile and long 11cm trimmers, the speed range is wide and the glide performance good. Overall, the evidence of this efficiency is revealed by the favourable fuel consumption figures. 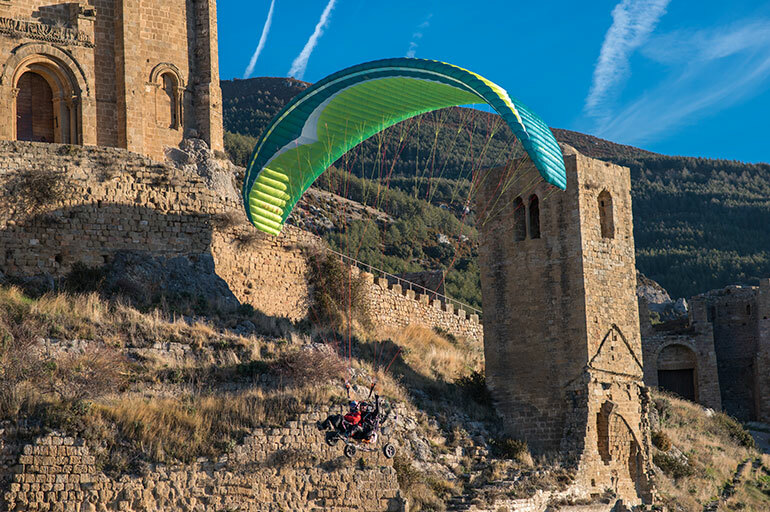 The Condor is easy to manage on the ground and inflates smoothly and evenly in all flyable conditions. And because the Condor profile produces a lot of lift at low airspeeds, you’ll get airborne quickly with just a short take-off run. 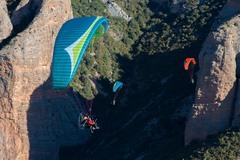 The Condor has a wide weight range which makes it suitable for trike use, in addition to foot launched PPG. 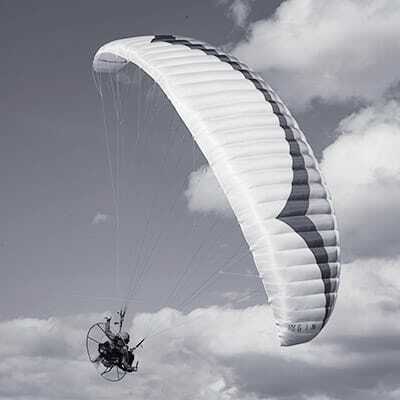 The 2 available sizes cover a weight range of 110-405kg.